Recipe makes approximately two pounds of soap. Step 1: First, prepare the soap for the seven layers of the loaf. So, in seven small bowls, add 130 grams of Diamond Clear Melt and Pour Soap Base to each bowl. Step 2: Now, begin with one of your bowls. Melt the soap in the microwave for about 30 seconds, or until it is fluid. Then, add 6 grams of Vanilla White Color Stabilizer, 6 grams of Angels Wings Fragrance Oil, and 4 drops of Deep Purple FUN Soap Colorant. Stir to blend the ingredients together. Then, pour the melted purple soap into two cavities of the 4 loaf mold, pouring half of the soap into each cavity. Spray the soap to rubbing alcohol to release any air bubbles and let the soap setup. Step 3: Next, prepare another bowl of soap. Again, melt your second bowl of soap in the microwave. 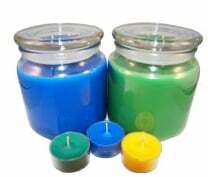 Once melted, add 6 grams of Angel Wings Fragrance Oil, 6 grams of Vanilla White, and 3 drops of Ultramarine Blue FUN Soap Colorant. Stir the ingredients together. Now, spray your purple soap with rubbing alcohol and then pour the blue soap on top. Once again, spray the soap with rubbing alcohol to release air bubbles. Step 4: At this time, we will prepare the next layer. You will need another one of your bowls. Then, melt the soap in the microwave. Once your soap is in a fluid state, add 3 drops of Kelly Green FUN Soap Colorant, 6 grams of Angel Wings Fragrance Oil, and 6 grams of Vanilla White. Once you have stirred to blend the ingredients, spray the previous layer with rubbing alcohol and pour the green layer on top. Finally, spray the green soap with rubbing alcohol and wait for it to completely harden before moving on. Step 5: Repeat the process above to prepare your layer using the Lime Green FUN Soap Colorant, adding 3 drops of the colorant to the next bowl of melted soap. 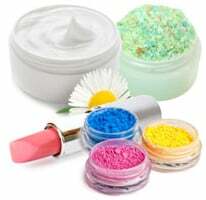 Also, add 6 grams of both fragrance oil and color stabilizer. Then, stir, spray your previous layer with rubbing alcohol and pour the lime green layer. Finally, spray your lime green soap with rubbing alcohol and wait for it to setup. Step 6: Now, repeat the same process as before, using your next bowl of mp soap. To prepare your orange layer, add 4 drops of Eye Poke Orange FUN Soap Colorant. 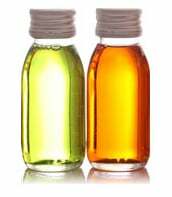 Additionally, add 6 grams of both fragrance oil and color stabilizer. Then, stir, spray your previous layer with rubbing alcohol and pour the orange layer of soap. Finally, spray your orange soap with rubbing alcohol. Allow the soap to setup. Step 7: Prepare your layer that will use the Jailhouse Red FUN Soap Colorant. Melt your next bowl of soap. 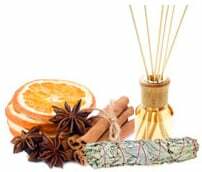 Add 6 grams of each fragrance oil and Vanilla White Color Stabilizer. Then, add 3 drops of Jailhouse Red soap colorant. Use a mixing spoon to stir the ingredients together. Finally, spray the Eye Poke Orange layer with rubbing alcohol and pour the Jailhouse Red layer directly on top. Now, spray the melted soap with rubbing alcohol to release any air bubbles. Let the soap harden. Step 8: Finally, prepare the layer of soap using Natures Garden’s Tomato Red FUN Soap Colorant. Melt your final bowl of soap as you have before. Then, add 4 drops of the colorant, 6 grams of the Angels Wings scent, along with 6 grams of Vanilla White. Mix the ingredients together. Then, spray your previous layer with rubbing alcohol and pour the final layer of melted soap on top. Once it has setup, you can begin topping it. Step 9: While you are waiting for your soap to finish setting up, you can prepare your rainbows. You will prepare your rainbows using the remaining two cavities of your silicone mold. 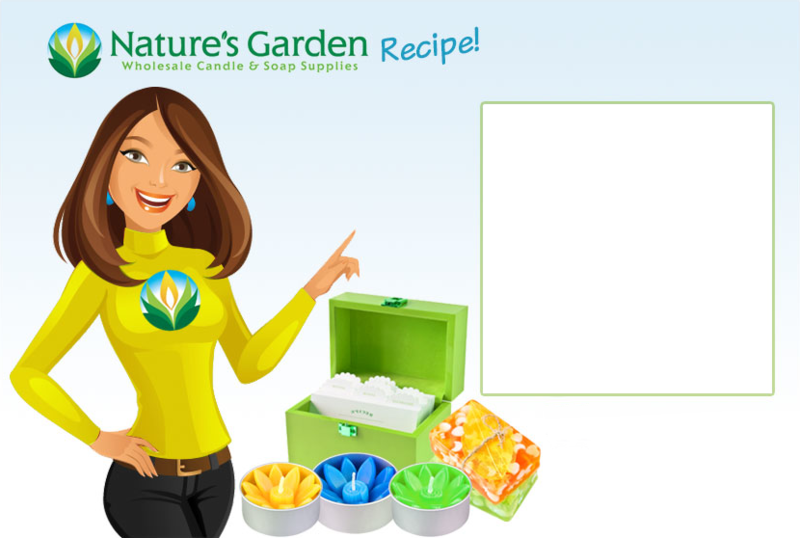 We will include the addition of vegetable glycerin so that the soap will be flexible. Once they setup, you will remove them from the molds and slice them into strips to create a rainbow. Step 10: The rainbow will be prepared by creating another layered soap. However, we will use smaller amounts of soap, use vegetable glycerin, and only contain 5 layers. So, melt 30 grams of clear mp soap base. 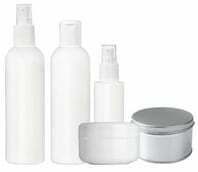 Then, 1 gram vegetable glycerin, add 1 gram of fragrance oil, 1 gram of Vanilla White. Then, add the colorant to each layer as listed below in the same manner you did when preparing the loaf, using rubbing alcohol between each layer and waiting for it to setup before moving on. Step 11: Once the soap rainbows have setup, remove them from the mold. Cut each one of your rainbows into 4 strips, cutting them long ways. So, each strip will be about ¾” wide and about 5 ¾” long. Finally, set them aside, we will come back to them. Step 12: Finally, we will prepare our whipped soap. The whipped soap is meant to resemble clouds. Once it is on top of our soap loaf, we will place the rainbows on top of the clouds. So, in a deep mixing bowl, weigh out 200 grams of whipped soap base. 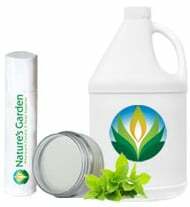 Also add 20 grams of vegetable glycerin, 20 grams of Vanilla White, and 20 grams of Natures Garden’s Angel Wings Fragrance Oil. Step 13: Now, use a hand mixer to whip the soap base to a cloud-like consistency. Set this bowl aside for the moment. Step 14: Next, in a separate bowl, weigh out and melt 200 grams of the Diamond Clear Melt and Pour Soap Base. Once it is melted, pour it into the bowl containing the whipped soap base. Then, once again, use your hand mixer to fluff the soap to a cloud-like consistency. Step 15: Finally, place the fluffy soap on top of each loaf. The goal is to make them look like clouds. Step 16: Once you have placed your whipped soap on top, place your rainbows on top of the clouds. We used 4 rainbows on each loaf. Step 17: Once your soap has setup, remove it from the molds and slice it using the mitre box and cutter. Your rainbow MP soaps are now ready to use! Enjoy!